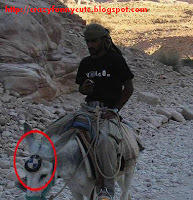 Some people drive expensive branded cars while others are dreaming about that. But, some of us have found original way to have branded transportation. So if you can not have BMW, how about BMW donkey? With this, you will be respected in your village.